Nestled on the beach, this Anakao hotel is 0.1 mi (0.1 km) from Anakao Beach. At check in, hotel would not accept our prepayment via wotif and made us pay them directly as well so we ended up having to pay twice. Constant power outages all night during heat was very unpleasant as room very stuffy without aircon. Would not stay again. Reception staff and wait staff were friendly and helpful but manager/owner wouldn't speak with us to try and resolve our payment issues. Can still see hotel on website accepting bookings and money. Should be removed as he claims they do not work with wotif.com or any other online service. The rooms were basic and very expensive to what you get. The beach was rough. The amibance created by owners and staff was cold and hostile. They tried to charge extra for something the moment you come in. If you dont order food or speak french or something Lawrence gets very angry and avoids you. The owner talks about you infront of you in french to her boyfriend. They both smoke constantly infront of our infants! The room we got was next to a rubbish dump full of broken bottles. 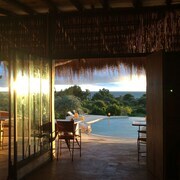 We went to Mada hostel next door for peace, quiet and a better vibe! we paid in full via online cc payment and asked at arrival if there is any further charges. No. Then 5 mins before the boat back , was told there is more to pay. This place should be taken out of expedia, as it is very hostile and for what you get it is very overpriced compared to other places around the beach. I would avoid this place at all costs and stay somewhere nice and welcoming. The owner and boyfriend DO NOT like small children and are rude to staff! The house is old and run down walls are cracking, bugs crawling, and there is no hot water, no power or internet!! The owner will turn everything off and blame it on the wind. Where if you walked at the same time, to the 'Mada' next door. there is free wifi, pizza, chips, happy hour, power which works fine!! 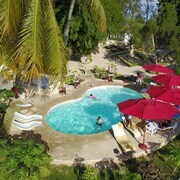 Where to find Toliara hotels near an airport? Where can I find hotels in Toliara that are near tourist attractions? 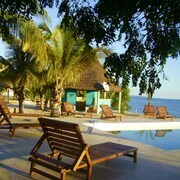 Expedia.ca offers a selection of 14 hotels in Toliara. You are sure to find cheap deals and discount rates among them with our Best Price Guarantee. No matter what type of hotel strikes your fancy, we will let you search for your preferred one to accommodate your travel needs. 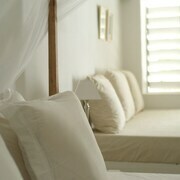 Expedia.ca will not only save you time, but also money when booking your stay at a hotel in Toliara. Making reservations so you can stay within your budget is easy with us. Expedia.ca even provides you with a map so you may find hotels in the Toliara neighborhood you prefer. Go ahead. 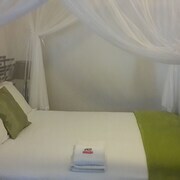 Enter your travel dates to view the best offers on hotel rooms in Toliara, Madagascar now! 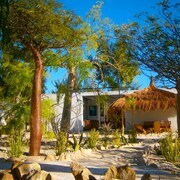 What are the most popular Toliara hotels? 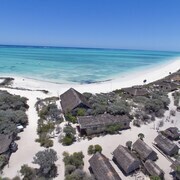 Are there hotels in other cities near Toliara? 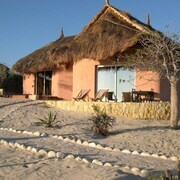 What other types of accommodations are available in Toliara? Explore Toliara with Expedia.ca’s Travel Guides to find the best flights, cars, holiday packages and more!